I'm actually really happy the Brexit Party is up and running. It will split the Gammon vote between UKIP, the Tories and Farage, leaving the door open for Labour to achieve a majority in the next election. As an aside... Imagine being that dumb that you think that someone called Annunziata Rees-Mogg would be on the side of the ordinary working class person. You know exactly what Gammon means. I've explained it to you before. But to quote The Independent: "describe(s) red-faced conservative men and Ukippers ranting about Brexit"
But to return to my point, if the Brexit Party splits the right, then that's fine by me. Not any more. No deal preparations are back on. Just read it. How do people work under such fickle conditions? That's how things are now. NIt's just like you distilled the most elitist and sneering arguments against UKIP into one sentence. There's nothing "almost neo-Nazi" about the party, unless your political centre is the Guardian, and thus everything to the right of it is some degree of extremist. Given you're very clearly a Remainer, how would you have any clue whatsoever as to what any real Brexiteer should vote?. I suggest it is you who has no clue., Ask Farage and the legion of former Ukippers who followed him what they think . Gerrard Batten hasn't uttered much significant about Brexit for 3 years. But loads about Islam, migrants racial identity, blah blah. He's appointed an habitual criminal and former BNP as his political advisor. Whilst Farage trotted along the countryside with a small band of men, UKIP types were harassing MPs and offering Nazi Salutes to their god, Tommy Robinson. UKIP are dead as a serious party, Brexiteers should go for the real thing, the original. As for press hit-jobs, they most certainly do have a claim to make, the mainstream outlets are all staunchly anti-UKIP. Even supposed right wing and pro-Brexit ones, like Tory boy Paul Staines' Guido Fawkes just can't help themselves but to insult the party any time the opportunity arises. They are entitled to a view, more so given that UKIP has degenerated to the party of Roderick Spode. You are not alone in thinking that. The Tories are losing a catastrophic number of voters, but they seem to have split their votes evenly between the two. I'm of the opinion that the more sentient gammon and non-ideological sorts who genuinely believe in their cause would switch to the Brexit Party when they get more well-known and organised. UKIP may be hampered by a lack of money and an activist base consisting of old racists , young edgy identitarians and football hooligans. Strong and Stable Mrs May? My arse. Just read it. How do people work under such fickle conditions. That's how things are now. Yes, that's what happens when all the levers of power are in the hands of Remainers doing their utmost to prevent the UK actually leaving the EU. Farage the egotist who doesn't appreciate there being any star but himself, who likes a good spot of grandstanding but is an absolutely incompetent leader who surrounds himself with yes men? The man who undermined the efforts of the official Vote Leave campaign through his good works at Leave.EU during the referendum? Batten was the one who came up with UKIP's manifesto which was about more than just Brexit. He's also the one who did all the organisation for Farage in the years he was nominally in charge, writing his speeches and so on. As for dead as a serious party, polling doesn't seem to agree with you there. Let's see what happens with the upcoming elections. I find it more than a little ironic that many of those same commentators who were calling Farage a fruitcake when he was leading UKIP have suddenly changed their tune now he's founded a new personality cult. I mean party. The levers of power are in the hands of the DUP. It is they and the Irish question who killed Brexit. Lets stick to facts rather than slogans. I'm no fan of Farange, the not quite racist public image and all that.As a propoagadist though, albeit using a compliant press he certainly fooled a lot of people into thinking that the UK would be overrun by Turks and Syrian refugees etc if we did not leave now. I note that 3 years on we can safely say that did not happen. But that's old stuff. This thread is about now. His party has started from nothing to being a rival to his old party in about 2 weeks. That is not a bad effort. FBatten was the one who came up with UKIP's manifesto which was about more than just Brexit. He's also the one who did all the organisation for Farage in the years he was nominally in charge, writing his speeches and so on. As for dead as a serious party, polling doesn't seem to agree with you there. Let's see what happens with the upcoming elections. Polling says that the anti-Europe vote doesn't meet the total for Pro-Europe parties ( excluding Lab and Tories) after all that dissatisfactionj with the Brexit process. I beleive many commentators still consider Farage as a dangerous fruitcake, but obviously less so than a party that is content to break it's own constitution so it can invite overt racists and football hooligans to prop it's numbers and funding. Given the DUPs opposition to the backstop, and the PM's unwillingness to even countenance actually changing it, that statement is rather doubtful. If they had any power, May would be petitioning the EU to remove all 175 pages of it from the draft. The only reason Turkey's accession ground to a halt was the swerve President Erdogan made to the authoritarian. Not that it stopped the EU giving him 3 billion euros to built walls, fences, checkpoints and equip his border guards in the south-east to stop Syrians crossing into Turkey. Farage's ego trip doesn't yet have any organisation, campaigners, or anything that would actually result in MPs getting into Parliament, or even for that matter MEPs into the European Parliament. Not surprising when it's only really the vehicle to keep him at the public trough. That's not what the polls taken on the 10th/11th April on voting intentions for the European elections said, where UKIP and the Brexit Party collectively had 29% and the Lib Dems, SNP and Greens only 26%. People who have a legitimate and genuine concern about migration would not have anything to do with a party that is now thouroughly penetrated by the extreme right. My view is , as Farage's party gets more well known , he'll capture the gammon vote, leaving UKIP to cling on to the die hard racists and Nazis. I could be wrong, time will tell. Again wrong thread.Post it in the other thread, there is an obvious answer to that, but I want to remain on topic. The reason doesn't matter Turkey was not going to join the EU imminently. The British public were still lied to. I hope this comes out during election campaigning. 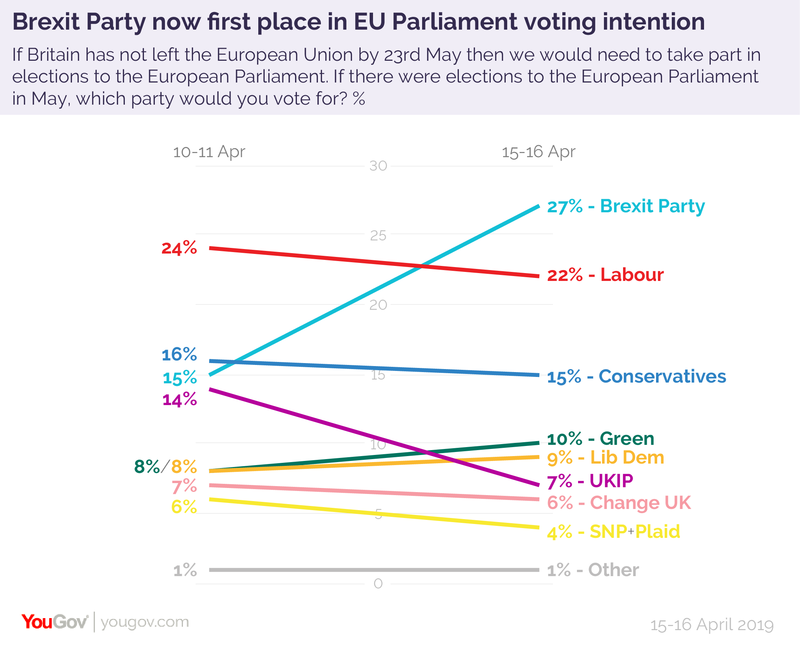 Yet the Brexit Party is a point below UKIP, who have been around since how long? Credit where it is due. It also means he can't appear on LBC until it's over, which is an added bonus. That's not what the polls taken on the 10th/11th April on voting intentions for the European elections said, where UKIP and the Brexit Party collectively had 29% and the Lib Dems, SNP and Greens only 26%.. Polls may go up as well as down. We all know the game. Re-opened after cleanup. Please remain on topic, respect the ToS and your fellow debaters even if you strongly disagree. Discussing other threads, the origins or assumed political leanings of posters is considered off topic. 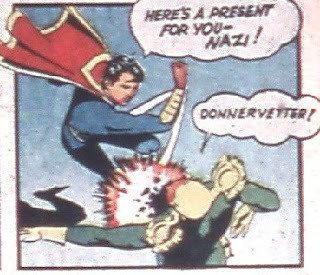 Try to remain impersonal when framing your arguments. Last but not least, the Opening Post frames the subject, but nobody owns the thread and only the ToS sets the rules of the thread. Last edited by alhoon; April 16, 2019 at 03:18 AM. Actual Brexit-supporting parties 34%, genuine Brexit-opposing parties 25%. 37% for the two main parties. The mainstream parties are about to get wrecked. Labour and the Tories are simultaneously losing votes, UKIP are finished, and the Brexit party marches onwards. People who wanted a Brexit, voted for a Brexit, and didn’t get a Brexit, are evidently making their voices heard. This Brexit Party is quite exciting actually, being led by a politician like Farage, especially if it attracts people of the calibre of steven woolfe.